The Invoice Payment Process Flowchart allows for clear visualization of the steps needed to handle incoming invoices. Having an assigned Invoice Payment Process can secure the organization's finances and ensure that payments processed are related to confirm purchases and the sum match the dedicated budgets. 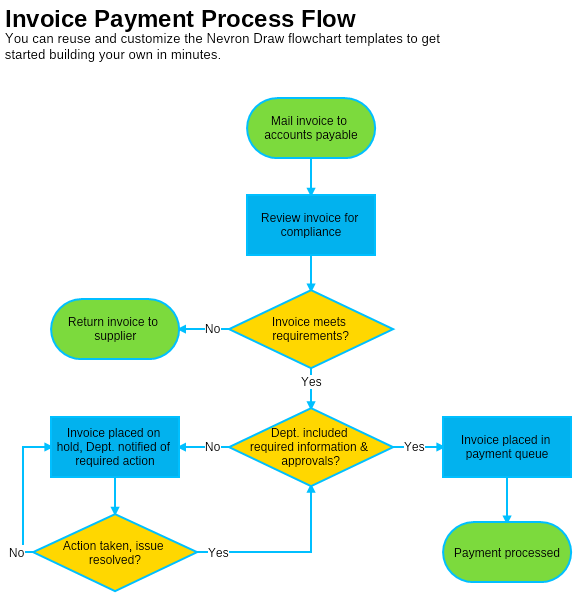 Download this free Invoice Payment Process flowchart template and adjust it to your needs with Nevron Draw.